Don’t Discriminate: We are only human, so it is normal that we sometimes have certain beliefs. However, when it comes to business, those sentiments cannot reflect on how you address and treat your tenants. It is important to follow housing regulations when it comes to admitting tenants. It is illegal to discriminate on the basis of race, gender, skin colour, and/or nationality. There must be a level playing field when dealing with tenants. Discrimination in any situation doesn’t reflect positivity, and tenancy is no different. You, as a landlord, must show that you can cope with the emotions, pressure, and attention that may come with having different tenants from different backgrounds. Discrimination and lawsuits are closer than you think, so, to avoid further tension, make sure you have an open mind when dealing with tenants. Carry Out a Full Background Check: Having great occupants will help you as a landlord, and you will be able to avoid rental difficulties. Luckily, as a landlord, you have absolute control over who you lease your property to. Leasing to friends or family members can be difficult in the long term. When leasing to individuals you don’t know personally, make sure a proper background check is carried out on them. Get information about their past rental history, their reasons for relocating, and their salary. You are advised to search for, and acquire, every pertinent file relating to their past tenancy. Maybe the greatest oversight proprietors make is letting in the wrong type of individual. This can prompt late lease, destroyed homes, and exorbitant expulsions. Basically, individuals can fake it, they can lie about some of their past experiences; however, if you are unrelenting and patient you will most likely unravel their lies. Run It As a Business: As I said before, numerous landlords are awful at maintaining their business, and I trust this is, to a large extent, because they don’t see their enterprise as an enterprise. As such, they treat their enterprise as leisure. 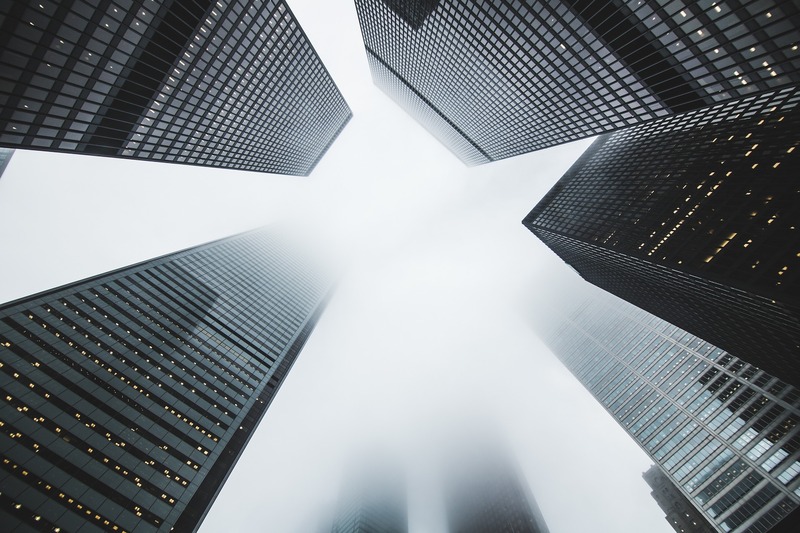 If you treat your “landlording enterprise”, with the same regard and regulation that you would treat any other type of business with, wonderful things could happen. For instance, when is the last time you flicked through an informative book on business administration? Or, what framework do you have set up so that business concerns can be settled without your immediate contribution (on the off chance that you happen to take some time off the day a gas supply line breaks)? You can definitely succeed as a landlord, you just have to keep a tightly-run ship, run it as an enterprise and look forward to your cash inflow at the start of every month. A successful landlord will have the landlord advice helpline on speed dial. FREE specialist advice from qualified lawyers is a must-have for all private landlords. They can help with anything from tenant disputes to arrear and debt collection. A tenant can not be forcibly removed from the property. If the entitled notice period passes, the landlord may start an eviction process via the courts. Rent payable is money a tenant owes a landlord at a given time. It is a term used in reference to the tenant, while rent receivable is used in reference to the landlord. Most tenancy agreements usually have specified intervals for payments. If the payment is to be made on the first day of every month for instance, and the tenant pays on time, the rent payable would be zero. If the tenant is late on payment, then the rent payable would be the agreed rent. If the tenant is behind on rent for two months, rent payable would be twice the monthly payment. How Do I Go about Repairing Such Damage? The tenant is required to inform the landlord about any of these damages and come to a decision on how to get them fixed. When the landlord approves the repair, the tenant may go ahead and keep documents on such repairs for referencing at the end of the tenancy. If the damage is left unfixed, the landlord would most likely deduct the cost from the tenancy deposit to cover the repair expenses. In some cases, the tenant may be sued by the landlord if the deposit does not cover the repairs needed. Can I Get Insurance For Myself? Landlords usually have insurance plans to cover the property or fixtures in it. This plan will definitely not cover the tenant. A tenant can choose to get insurance for themself and their belongings. Is Rent Paid in Advance the Same as a Deposit? The answer is no. A tenancy deposit is different from an advance because a landlord is required by the law to protect it under a deposit scheme and refund it (after deductions if any) to the tenant within 10 days of the end of the tenancy. Rent paid in advance requires no protection and is not refundable at the end of the tenancy. What Happens if the Repairs are Not Done? A tenant can contact the department of environmental health at the local council for help if the landlord refuses to or delays in repairing reported damages. The council will be required to do something about it if the damage could cause harm or affect other people. A lot of landlords do not allow tenants to decorate or renovate their property. This is because some changes would only be suitable for the one particular tenant and the property may be left in a mess after the tenancy period. Some tenancy agreements allow decorations or renovations to a specified limit. These things can be negotiated though, and the landlord and the tenant may come to an agreement on what can be done and what cannot be done on the property. Some other tenancy agreements allow for decorations to be done but require that the property is left in the same condition in which it was found. This would mean covering drilled holes, and the removal or replacement of certain fixtures and installations and more. It is important to read and discuss the options available in the tenancy agreement in detail before embarking on any decoration or renovation projects. Adjust Your Budget: So, you have a lot of money going to groceries, or you are fueling two cars. Why not cut back a bit on the groceries, fuel one car, or take the bus to work, if possible? Look at certain things you don’t really need at the moment, and then stop them. You are probably going through a rough patch, it is only right that you steady the ship, and how do you do that? You regulate your expenses in such a way that you will be able to carve out enough money for your rent. Some tenants are not sensitive enough to their financial situation, and as such they find themselves stuck in a rental default situation. Talk to Your Landlord: This may come as a surprise to you, but landlords are not monsters (they are just fierce), some of them are actually very considerate and compassionate. Even for purely business-minded landlords, a defaulting tenant may still find favour. Usually, if a good and consistent tenant were to be in such a situation, the landlord may give a helping hand, by reducing rent, allowing the tenant to continue tenancy till they get the required amount of cash. To help the situation, it is best to inform the landlord as soon as possible, so the landlord can know the necessary steps to take. This is where a good rapport with your landlord might just save your tenancy. Seek Help: If you can’t pay your rent, can’t cut back any more on your expenses, and your landlord has refused to help you, then you are clearly in trouble and urgent help is required. You can get help from your family, maybe they can help you out with the rent till you get back on your feet. You can also ask your employer for a work loan, if your employer is compassionate enough. There are also charity organizations that support tenants going through certain challenges. If the landlord is absent at the end of the tenancy and cannot be reached over a period of time, the tenant may raise a dispute with the tenancy deposit scheme, requesting a refund. You want to end your tenancy, the question is: do you have legal grounds to do so? If you don’t, then how do you go about it? Don’t worry, let’s address this. As a tenant, bringing your tenancy to an end may be for various reasons, but you have to be careful. A tenant in a fixed tenancy cannot, at any point during the tenancy, terminate their contract, unless there is a “break clause” or they have consent from the landlord. If a tenant vacates the property in a fixed tenancy, they may be forced to continue to pay rent for the property for the duration of the agreed tenancy. A periodic tenancy is more lenient. Break Clause: A break clause is a buyout included in the terms of a fixed tenancy agreement. A break clause may empower the tenant to end the tenancy before the end of the fixed period. Landlord‘s Consent: A fixed tenancy may be brought to an end if the landlord agrees to relinquish the holding of the tenancy agreement. This is called “surrendering”. 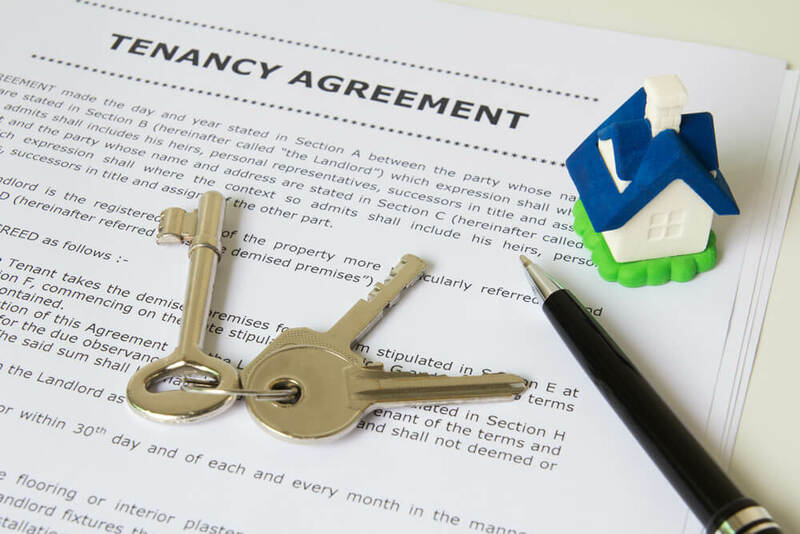 Periodic Tenancy: A periodic tenancy is a type of tenancy where the tenant is paying rent on a monthly or quarterly basis and, in most situations, the tenant knows they cannot stay long in the location, so, there is no need to make a long-term tenancy commitment. Because of its flexibility, a periodic tenancy agreement can be ended at any time, as long as the right notice is given. The tenant must give the landlord a quit notice of 21 days, except if the landlord agrees to early termination of the tenancy. During the 21 days, the tenancy is still active, and rent is still payable. Joint Tenancy: If you are involved in a joint tenancy, it is vital to know that if one of the tenants should serve a legitimate notice to quit, then the tenancy is over. What if the Damage is Caused By a Neighbor? The cost of repairing damages resulting from accidents not caused by the tenant is usually covered by the landlord. Most landlords have insurance plans with provision for these damages. The landlord, however, is not responsible for any damages the tenant may have caused to their belongings in such situations. What if the Decoration or Renovation Benefits the Landlord? If the decoration a tenant wants to do will upgrade the house in terms of modernity or fashion, and the landlord may benefit from such an upgrade, the tenant may talk to the landlord in question and propose a payment percentage. Tenants are usually willing to make huge changes or decorate when they have the intention of renting the property for a long period of time. This may stand as an incentive when negotiating for decoration purposes. The landlord, however, is not in any way obligated to accept the idea of payment a part of the expenses for decorations for personal reasons. What if the Tenancy Deposit is Paid by a Third Party? A lot of people have their deposits paid by third parties: parents, friends, siblings, or others. The rules do not change in such cases. 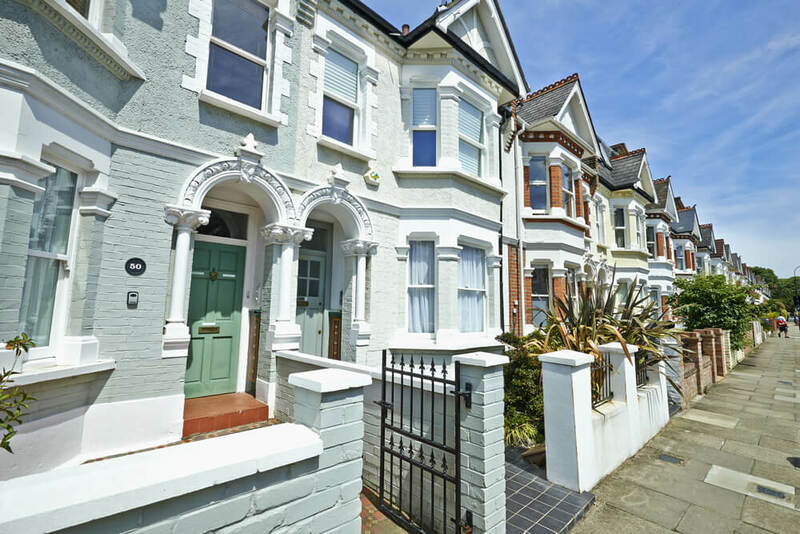 The landlord is still required to protect the deposit under a deposit scheme and make the details of the protection scheme available to the tenant and the third party. Is a Tenancy Agreement Important in lettings as Well? Licencies do not usually require written tenancy agreements. This does not mean they shouldn’t. Bed and breakfast accommodation, for instance, would most likely not require a written tenancy agreement. The same goes for rooms let to lodgers. It is advisable, however, to get a lodger’s agreement to be on the safe side. That being said, it is always best have a written, signed tenancy agreement to protect all parties involved should a dispute arise in the future. Sure, nobody wants to encounter a problematic landlord, tenant, or even a problematic experience. Being prepared for such eventualities is the smartest thing to do. Legal Background Requirements of Assured Shorthold Tenancies? From 1st of February 2016, landlords are required to run background checks on tenants before renting out their houses to them. These identity checks should include finding out if the tenant is an immigrant. If so, they should determine whether their immigration status allows them to rent a house in the UK. A fine of up to £3,000 will be given to any landlord who rents to a tenant that doesn’t have the right to rent a house. The law permits landlords to request marriage certificates if the tenant is married, birth certificate, insurance, benefit book, utility bills, and so on. Landlords are also required to check the tenant‘s employment and credit history before renting out their property and make sure that every person over the age of 18 is legally permitted to rent a house, even if the name of any person does not appear in the tenancy agreement. The Assured Shorthold Tenancy Notices and Prescribed Requirements (England) Regulations 2015 states that the landlord is required to provide the tenant with a free copy of the gas and electricity safety certification before the signing of the tenancy agreement. Even after signing the agreement between the landlord and the tenant, it is the landlord‘s duty to make sure that the gas installation is inspected from time to time, at least once a year, by a registered gas engineer. A copy of the conditions of the system should be with both the landlord and the tenant at all times. The same goes for the electrical connections. Imprisonment, or a fine of up to £25,000, is possible for defaulting landlords, while that of failing to meet with electricity requirements is a £5000 fine. You will find this included in the tenancy agreement. It stipulates the amount of deposit for the property. Deposits can also be made with other items apart from money if the tenancy is assured shorthold. The landlord is also required to show how the deposit will be protected. Usually, the method will be through the Deposit Protection Scheme. They are required to provide the tenant with the protection information after registration. The deposit must be returned to the tenant no more than 10 days after the end of the tenancy. How Much is a Landlord Allowed to Request for Tenancy Deposit? Commitment: A tenancy agreement will ensure the landlord, as well as the tenant, follows their responsibility as stipulated in the agreement. 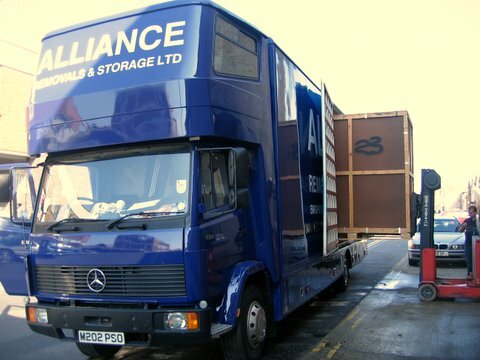 There are usually provisions for the repair of damaged facilities, occasional repair etc. The landlord‘s side of the deal must be honoured as when there is a skirting of responsibilities, legal action can be taken. Differentiating Landlord and Tenant Obligations: A tenancy agreement stipulates the role of both parties in the tenancy; when each one understands their responsibilities, the tenancy will thrive and both the landlord and tenant will be satisfied. Dissolution of Tenancy Agreement: Tenancy agreements usually have provision for the dissolution of the tenancy. In a case where you as a tenant need to move on, depending on the provisions of the agreement, it could be easy as pie. A tenancy agreement is a contract between a landlord and tenant regarding a property. This agreement outlines the rights of the landlord and the rights of the tenant. These rights include the tenant’s right to use the property without interference and the right of the landlord to receive rent payment for such property. Tenancy agreements may be written or oral, although it is more advisable to have written agreements for good reference purposes. The agreement contains details of the arrangement on the tenancy between the landlord and the tenant, details that must be aligned with the law. The law already has provisions for the rights and responsibilities of landlords and tenants. No details in the tenancy agreement can be in conflict with the stipulations of the law. Tenancy agreements may be made up of express terms, which are what is specified in the written agreement or orally. They could also be made up of implied terms, which includes the rights provided by the law for both parties or established arrangements by custom. A tenancy may be fixed or periodic. For fixed, the contract runs for a set period of time. For periodic, it could be weekly or monthly. What is the Maximum Length of an Assured Shorthold Tenancy? So far, there is no maximum length for an assured shorthold tenancy. However, there have been calls for the government to restrict the maximum number of years that can be covered by an assured shorthold tenancy, which is simply the tenancy form for privately owned properties. The calls have been consistent with 5 years with reasons, even though it is not the most common length found in these agreements. Because assured shorthold tenancies are meant to be for short periods, the agreements usually cover between 6 months and 3 years. The length is agreed upon by the tenant and the landlord. However, there have been cases where agents have refused a letting agreement that was longer than 3 years, even after the landlord and tenant have agreed to it. Their reason may be because, if an assured shorthold tenancy agreement is to be renewed, there would be no need for another agreement to be drawn up if the new term is 3 years or less. It simply is a statutory tenancy. But if it is going to be more than, say 4 or 5 years, then another agreement has to be drawn up for the purpose. 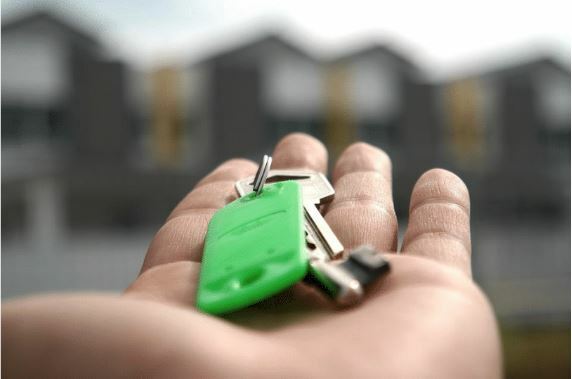 Now, the standard length of tenancy for landlords is 6 months as it offers them ease to repossess their property through a section 21 notice once the tenancy ends. All they would require is a two month notice and no fee. It is favourable for the landlord since they can easily increase the rent fee, replace unruly tenants, and also easily renovate their property. The tenants, on the other hand, prefer a longer tenancy agreement as it provides a certain level of security for them. Those with school-age children are better assured with a longer tenancy of up to 3, 4 or 5 years. They are better protected from indiscriminate fee increases and repossession of the house by greedy landlords. The longer the length, the more rights are accrued to the tenant. However, a longer tenancy may be good for the landlord as much as the tenant. It provides a steady income, which isn’t assured in a short one. An assured shorthold tenancy agreement that covers only a few months might leave the landlord without a source of income if they are not able to find a replacement quickly. There is no stipulated maximum length of an assured shorthold tenancy agreement. 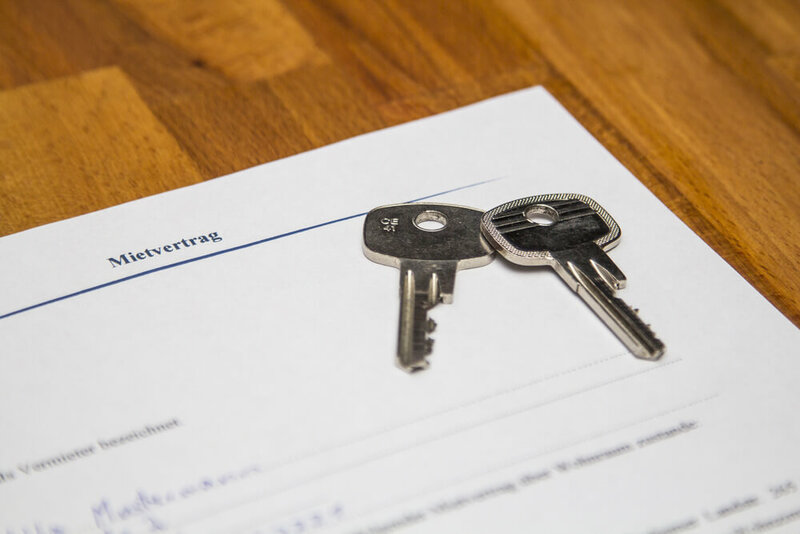 Tenancy agreements are necessary to have written down and signed to ensure the protection of the property for the landlord and the rights of the tenant. A written agreement controls the use of the property and clearly states the position of the tenant and the landlord. If there is a tenancy deposit to be paid, it would have to be protected using one of the official tenancy schemes, which would require a tenancy agreement. When there is no tenancy agreement in place, the landlord is still required by law to provide the tenant with written details on the tenancy within six months from the start date. Since there’s a document involved, it’s often best to go ahead and do it all; correct, detailed and signed. Tenants claiming benefits from the housing benefit office are usually required to provide signed tenancy agreements. No written agreement could mean misunderstanding in the terms already discussed and agreed upon. A formal argument ensures both parties are in agreement with whatever specifications have been made. Without a written agreement, a landlord cannot use the accelerated possession process to evict a tenant if needed. What is the Responsibility of the Tenants Regarding Repairs? Keep the property in good condition, neat, and well maintained. Avoid damages resulting from negligence. Carry out small maintenance repairs on the property. Give access to the landlord for repair purposes. What if the Landlord Fails to Protect the Tenancy Deposit? The landlord not being able to regain possession of the property under section 21 of the 1988 Housing Act. The tenant applying for a court order and the court specifying that the landlord pays three times the original deposit. What about Rent Payable in Advance? According to general law, in the absence of a tenancy agreement, the tenant would pay rent in arrears. If there is a tenancy agreement, the landlord may require rent to be paid in advance. For example, at the start of a tenancy on 1st of May, the tenant may pay rent for the 4 weeks ahead and the rent would be due again on 1st of June. Basically, the rent is paid ahead of time, for a service yet to be received, unlike rent paid in arrears which is for a service already received. 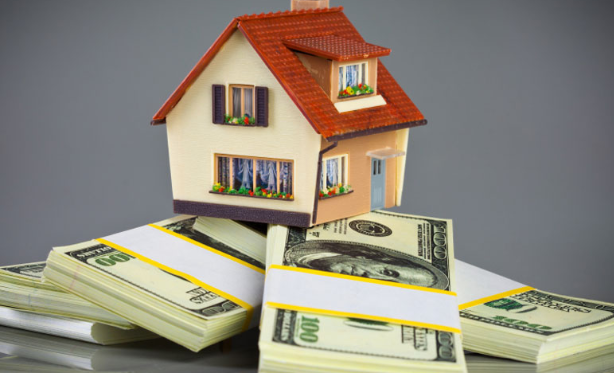 Rent payable in advance usually helps cut down on tenants owing. What about Damage Caused By Crime? The landlord is responsible for any damages caused by a crime (not committed by the tenant) on the property. It could be a broken window from a burglary or attempted burglary, or a damaged door from a break in. The landlord is not liable for any belongings of the tenant lost or damaged in these circumstances. Who Pays for Decorations and Renovations? If the decorations to be done are the most basic and required ones due to wear and tear from previous use, or as stated in the tenancy agreement, the landlord is responsible for the cost of these decorations or renovations. On the other hand, if the tenant wishes to decorate for personal reasons such as taste, trend, or comfort, the landlord would not be required to pay any part of the cost. When a tenancy deposit is paid to the landlord or letting agents, they are required to protect the deposit using an authorized tenancy scheme. This is to be done within 30 days of receiving payment. The landlord or letting agent is to keep the tenant informed of the steps taken to protect the tenancy deposit. It depends. In some cases if the tenant is a UK citizen, then no guarantor is needed. On the flip side, a working professional from another country, or a student, will definitely need a guarantor. Simply put, a UK rent guarantor is a UK resident with a good credit history that has agreed to pay your rent if, for any reason, you default on your payment. If, in the course of your tenancy, any damages occur, the guarantor will also agree to cover the cost and anything else related to the tenancy. Guarantors are legally obliged to do this on the basis of the Guarantor agreement. As an individual with a good reputation, a guarantor is expected to be a homeowner. Getting a UK guarantor can be a major challenge, especially for foreigners, because most guarantors in the UK are either relatives or family friends with the tenant. Most landlords consider a guarantor as an insurance policy, as background checks are carried out on tenants, with the same being done for guarantors. You Are a New Immigrant: For the purpose of protecting their interests, landlords often mandate new immigrants to get a UK guarantor; a task that can be daunting, as a new immigrant doesn’t fully know their way around well enough. If you are a new immigrant, prepare yourself for this possibility. A Student: Landlords believe that students don’t have the financial prowess to maintain an apartment, and this is mostly true. Below 21 Years Old: When it comes to someone who is less than 21 years old, they are more prone to misdemeanours. Landlords are wary of the over-exuberance of youths which may result in liabilities. Has Low Financial Prowess: Individuals with low financial strength do not exactly strike a confident figure to landlords, As a matter of fact, some landlords totally refrain from letting out their properties to these people. For those that don’t, they generally request a guarantor. What if There is a Dispute Over the Deposit to be Refunded? Disagreements between tenants and landlords are fairly common. Tenancy deposit schemes usually wait until disputes are resolved before releasing the deposit. If an agreement cannot be reached on how much should be deducted for damages and the cost of repairs, the tenancy deposit scheme usually has an option for resolving such disputes. If this option is taken, the tenancy deposit scheme would ask for evidence from both parties and make a decision. Their decision on how much the tenant is due is final. Who is a UK Rent Guarantor? In a situation where you are unable to produce a guarantor, the landlord may require you to pay 6-12 months’ rent upfront. Fixtures and fittings are items on a property. Fixtures are the items that cannot be removed, and attempting to do so may result in damage. Fittings, on the flip side, are items that are removable. Some tenants are blasé about the fixtures and fittings in the house, as they just want to have somewhere to rest their heads, But, if you want to enjoy the property and have value for your money doing so, then it is important to be thorough. To ultimately avoid unpalatable situations, ask specifically about these items and thoroughly inspect them before going into any form of tenancy agreement. A good rapport with your landlord will go a long way in making you comfortable and satisfied, in other words, be nice. Naturally, the landlord is liable for all costs incurred on repairing facilities on the property. Regardless of who your landlord is, make sure the tenancy agreement you go for is the one that best represents your interests, and also ensure that you get value for your money. Be careful of the “cowboys”.